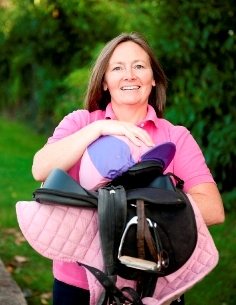 Cheshire pony parties was started in 2008 by Cheshire mum of two and long-term horse enthusiast Amanda Keech. 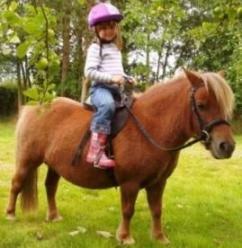 Using the familys two quiet, well-behaved pet ponies, Amanda initially provided the ponies to attend childrens birthday parties but we now have a range of parties, experiences and holiday activities available. The family lives in the heart of Cheshire, near to Chester with their 2 dogs and a gaggle of equines large and small! 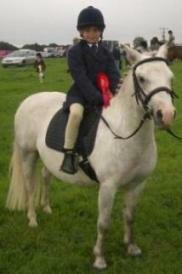 As a pony mad child I dreamt of Father Christmas leaving me a pony at the bottom of my bed on Christmas day. Whilst that dream never materialised, I had riding lessons from the age of five and at eleven, a chance visit to a distant cousin resulted in us taking possession of an orphaned foal. That was the beginning of a delightful association with a number of ponies and horses, including pony holidays, carriage driving, competing and breeding my own foals. Horses took a back seat whilst the children were very tiny, but when Poppy arrived the children loved grooming her and leading her around. Inevitably this has developed and my daughter now rides and helps to look after the ponies, from which she gets tremendous enjoyment. 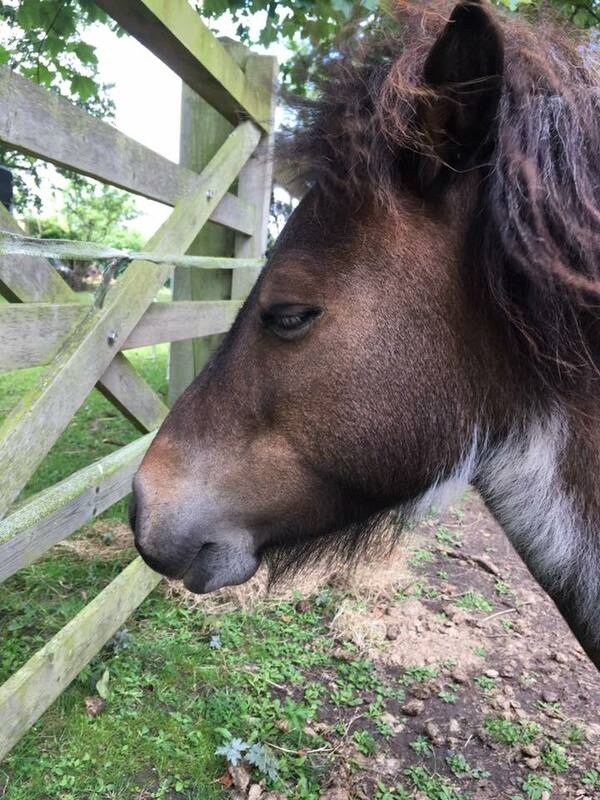 My daughter is very fortunate to have a pony in her back garden and to be able to experience the joys of owning a pony-understanding their character, knowing what their needs are, loving them and enjoying each others company. We can now offer your child a taste of this rich experience either on their special day or via our pony experiences. My daughter has a big pony now and I have two horses – one of which was actually born here (ask me about my foal stories). We train and compete fairly regularly. The ‘big’ horses don’t live here – we don’t have enough space for them but they’re not far away. We currently have 3 little ponies, 2 of which work as party ponies. They are handled regularly and are relaxed and well-mannered in the company of small children. They are lovingly cherished at home under my knowledgeable, experienced care. The ponies are adored by all who meet them and are extremely well behaved. Poppy and my daughter ‘some’ years ago! 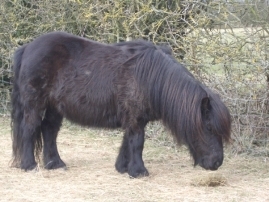 Poppy is a miniature Shetland pony and is just 36″ tall. Poppy was bought to keep one of our horses company and was so gentle with the children that we let them sit on her from time to time. 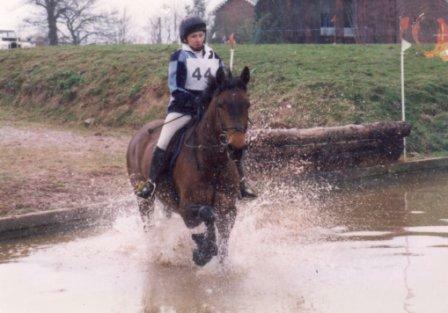 We gradually trained her and my daughter then had three years of pony club fun on her before she grew too big for Poppy. All the ‘little’ people in our family had a sit on Poppy when they visited! Poppy is very gentle, well mannered and used to small children. She is perfect for children from the age of two. My daughter then moved onto Demi, another absolutely delightful pony who stayed with us for about 7 years before a friend asked if she could buy him for her young daughter. Demi has since come to live about 2 miles from us and we keep in touch with him. 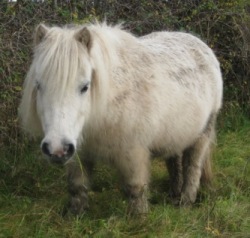 I then bought 2 party ponies specifically for working – Jinny, a black Shetland and Maisie a very small grey Shetland. Both have since gone on to their next homes. I had intended keeping Maisie but someone came to view Jinny, fell in love with Maisie and had a tiny tot so I couldn’t not let them have her. She lives with a race horse training family so is very well kept! 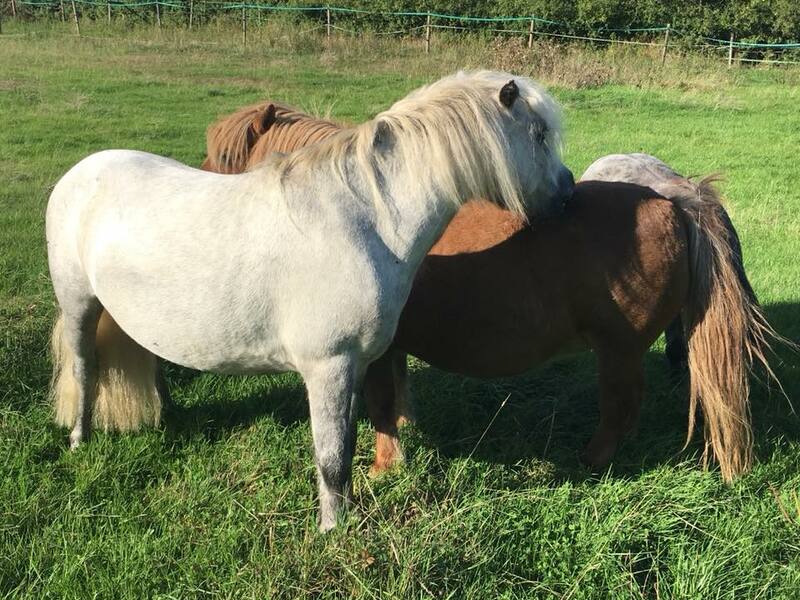 Poppy is still going strong at age 21 (Jan 2019), but I needed another slightly large pony, firstly to take children up to 10 and secondly to take some of the strain off Poppy! Having spent months searching, a pony came up for sale in Henley-on-Thames who sounded perfect. I hot footed it down the motorway with trailer in tow and collected Skittles (the grey pony in the foreground) who was only 4 and just trained to be ridden. 2019 will be his first ‘working’ year and he’ll be introduced to larger groups gradually. He’s about 41″ to his shoulder and has a super temperament. The other pony you’ll see here is Rusty. He sometimes wears black and sometimes white! Rusty is our smallest pony. He sometimes meets visitors but he doesn’t work as he’s never been trained. He’s a bit of a character!